Simplified racing simulator from indie developers, Zhoori Maang Entertainment. In the SHOFER Race Driver, you will be able to manage a variety of sports or racing cars on different routes, trying to come to the finish line first. In the mode of passing a career, you have to go through a series of races and, if successful, unlock new cars and race tracks. Despite its indie origin, the game is fully in line with modern requirements for all parameters. And download SHOFER Race Driver from our site is definitely worth it, at least for your reference. 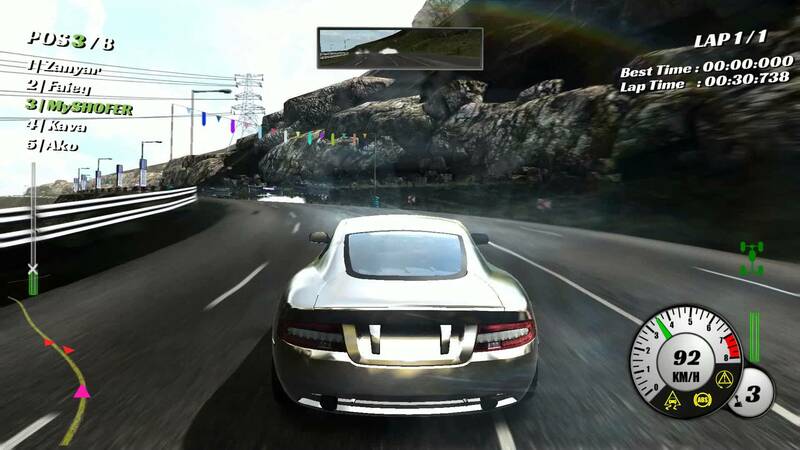 The game has both visual and mechanical damage to various parts of the car, the choice of automatic or manual transmission. Career will have to take place in several disciplines at once, the winners who have passed all the tracks in all locations will become kings of the streets. For the passage of certain stages of the career, new cars and tracks are unlocked, giving the opportunity to set new records and improve their driving skills. Not all cars are flawlessly controlled, as a rule with increasing power the control becomes more complicated, forcing to reduce speed before turns, it is difficult to enter into controlled drifts and quickly to lose speed before turning without skidding is not so simple. Especially it will be difficult to control from the keyboard so it is recommended to stock up a gamepad with analog sticks and triggers. Races are divided into several types. Speed King is held on special sports cars, Drag King on conventional (General Vehicles). Circuit: usual ring races, up to 7 rivals with a certain number of laps. Sprint Class: up to nine riders and two teams on cars in different classes pass the length of the route. Speed Challenge: from point A to point B, up to 7 riders and only high-speed sections of the trails. Drag: a series of arrivals for departure, in each of them the last one leaves the race. Four levels of difficulty. In the garage, you can change the appearance of the car by selecting the appropriate skin. Autotune graphics quality allows you to maintain a stable frame rate during the game, increasing the smoothness of the animation. The game has a realistic physical model of suspension and wheels. Keyboards and gamepads are supported. There is a fast race mode where you can choose any car and track. Damage system can affect the behavior of the machine on the road. With lungs, the performance is slightly reduced, on average, in addition to power reduction, taxiing and suspension efficiency deteriorate, with a critical efficiency of all the major nodes at a minimum. The machine can be broken completely. Repair during the race is not provided. In total, the game has 15 tracks with the day, night and reverse options and 24 cars. ■ Copy the contents of the folder “Crack” to the folder with the game installed, replace.